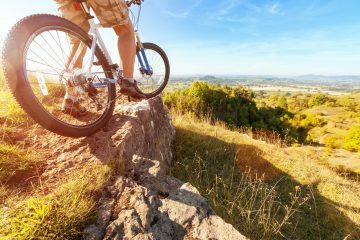 Mountain biking is exhilarating, adventurous, and also can be dangerous. Everyone should wear a helmet while on the trail. 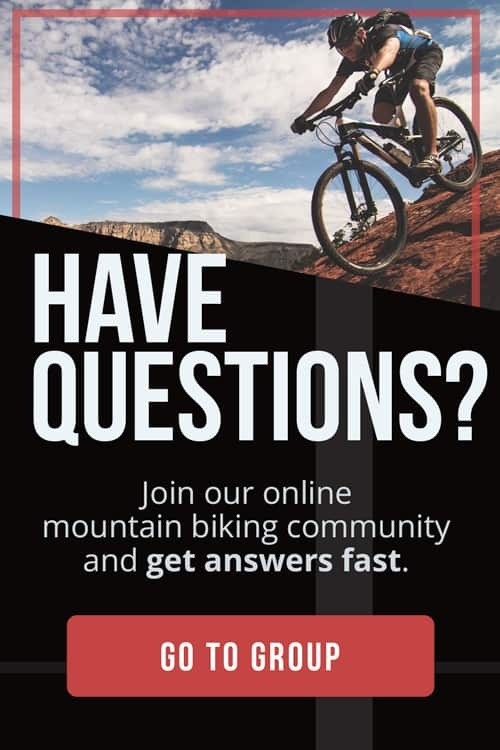 With so many models on the market, how do you find the best mountain bike helmet? 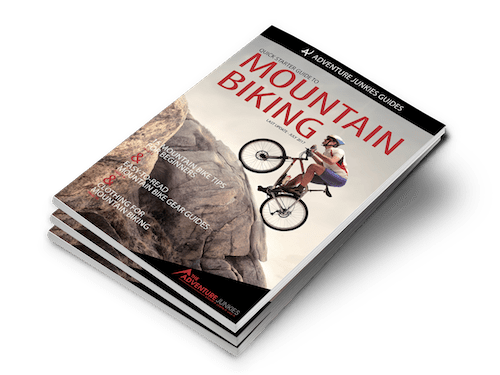 The Adventure Junkies are here to help you find the best helmet in your price range, for all your mountain bike adventures. A helmet is a personal decision. You must consider proper safety labeling, type, fit and comfort when making a choice. We’ll take you through these considerations, and we’ll even list 10 great options of 2017, that you can find online. Remember, it always helps to try the helmet on first. Your helmet is not just a part of your mountain bike gear it is an extension of your own body. You’ll want a comfortable, lightweight, and well-ventilated helmet for those long days on the trail. The Forefront combines lightweight construction with top notch protection. Instead of using expanded polystyrene like most helmets, Smith chose to use Koroyd to construct the main body of the Forefront. The honeycomb structure can effectively absorb impacts and is very light. A MIPS liner adds to the protection on offer, giving you peace of mind. Smith have designed the Forefront to be compatible with their glasses and goggles. The Forefront is best for use in mild climates. Despite the 21 vents, it gets very warm in hot weather and the honeycomb allows heat to escape when it is cold. The Montara is a stylish helmet with modern protection. The MIPS liner combined with the polycarbonate shell keep you safe. 16 vents may not sound like a lot but they are large and channel air over your head. The adjustable visor can be pushed up to accommodate goggles and there are strap grippers at the back. There are lighter helmets available, but you will struggle to find another helmet with MIPS at this price. For the average rider looking for a good looking helmet with the best protection, the Montara is a great choice. It also integrates with camera mounts. 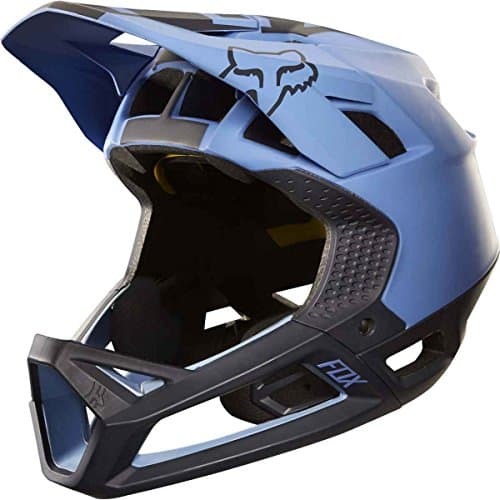 The Flux is an affordable helmet and is suitable for a wide range of riding styles. It is well ventilated and protects the sides and back of your head. There are lighter helmets available but this is offset by the versatility. If you like trail riding and take part in the occasional XC or even enduro race, the Flux has got you covered. Unlike other helmets, the whole body is covered with the hard outer shell, meaning it does not pick up as much cosmetic damage as other helmets. The visor is not adjustable and snaps off easily in a crash. A well ventilated and very affordable helmet for all day comfort. 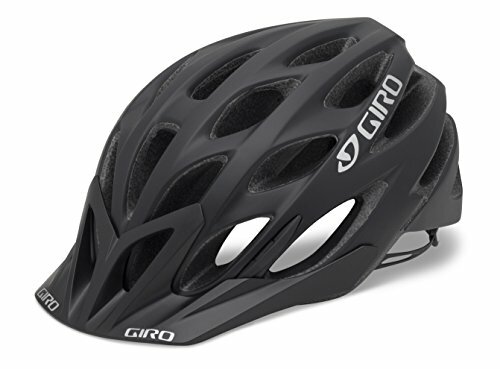 The phase combines the low-profile styling of a XC helmet with a touch more protection at the sides and rear, as well as a visor to keep out sun and rain on long days in the hills. 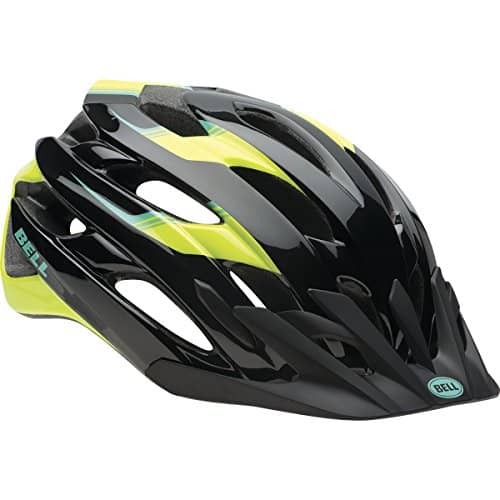 27 vents keep your head cool and the helmet has a lightweight and durable construction. Giro have included their Acu-Dial system for easy setup and micro-adjustments on the trail. The phase will not break the bank and will protect you from getting broken. PROS: Has awesome TAG fit system for micro-adjustments, a super lightweight and well-ventilated helmet. 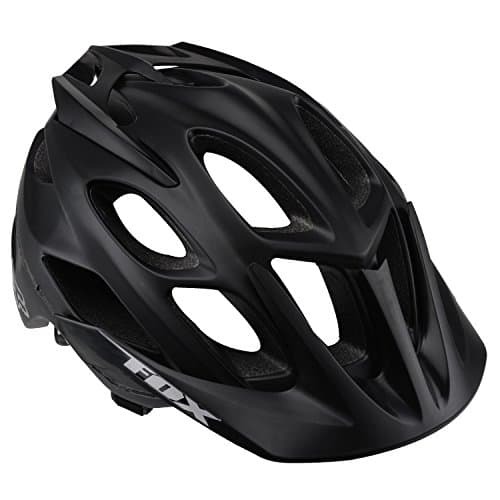 The Event XC is an exceptionally light and well ventilated helmet for XC racing or long rides. 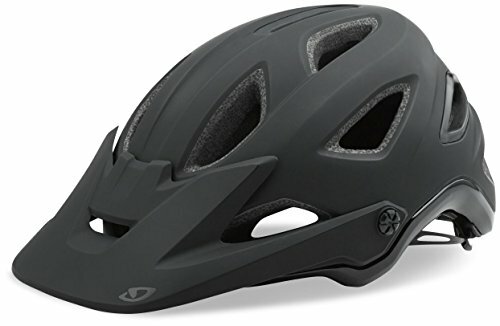 It is not suitable for more technical riding as there is limited cover at the back and sides, although it does have a MIPS liner, boosting the protection. Despite the price it, is well constructed, can be adjusted easily thanks to the Twin Access Gear system, which allows the retention to be tightened and moved up and down. The visor is not adjustable but can be removed if you do not want it there. 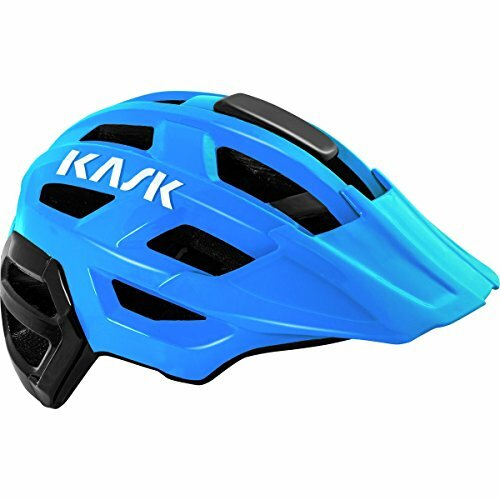 In comparison to other helmet manufacturers, Italian company KASK is still young. However, this does not mean that they are not capable of producing a fantastic helmet. The Rex is intended for trail and enduro riding, with protection covering the back and sides of the head. A ratchet at the back of the retainer allows easy adjustability and a large visor keeps out the worst of the sun and rain. The standout feature of the Rex is the integrated mount for lights or cameras, meaning you do not have to get out the cable ties. BEST FOR: Easy-to-use-mounts for cameras or lights, breakaway chin guard for that steep descent. CONS: Its one of the heavier models. The Super 2 really is a super helmet. The large vents keep you cool and the adjustable visor keeps out sun and rain. In its open face format, the protection extends far down the side and back of your head. There is a detachable chin guard available for the Super 2, so you can convert it from being an open face helmet to a full face once you have reached the top of the mountain. In a crash this chin guard is designed to break away on the first impact. On the top of the Super 2 you will find an integrated mount for lights and cameras. WEIGHT: 2 lbs., 2.4 oz. 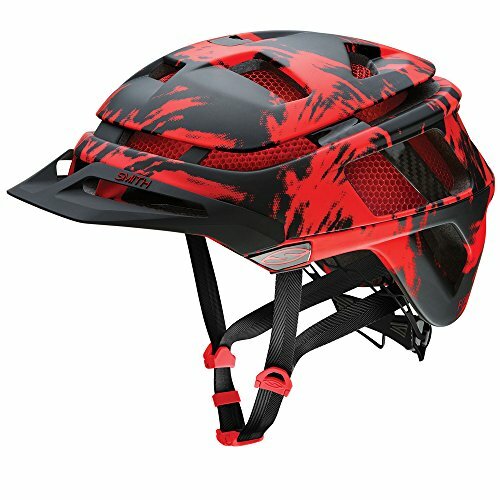 Full on downhill racing or laps of a bike park with big jumps, drops and risks requires a helmet that will protect your whole head if something goes wrong. The Switchblade is designed to do just that. Your whole head is protected and the front chin bar keeps your face safe. The adjustable visor will keep out sun and rain and can be pushed out of the way to store goggles. A MIPS liner adds to the safety. 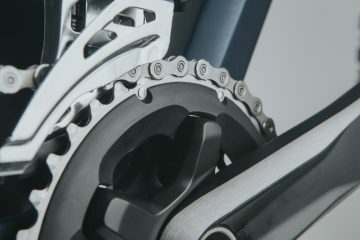 While the Switchblade may be pricy, it does offer serious protection for riders who want to go big. WEIGHT: 1 lb., 10.4 oz. 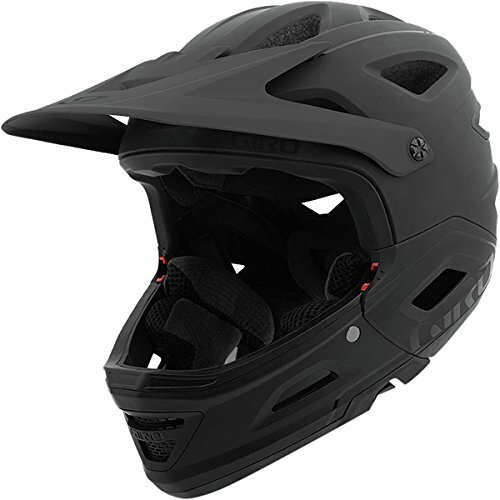 For big mountain riders and extreme enduro racers, full face protection is needed. The disadvantage of most full face helmets is the weight, lack of ventilation and the fact that they can restrict breathing. The Proframe is a lighter full face helmet with big vents on the chin bar to allow air to get to your mouth at all times. As a result, the Proframe is comfortable enough to wear on long rides and enduro races. A MIPS liner ensures top notch protection. The visor is fixed to channel air into the 24 vents and then over your head to keep you cool. Safety is the number one concern in choosing a helmet. Luckily, the Consumer Product Safety Commission (CPSC) has set certain standards that helmet manufacturers have to meet in order to sell in the United States. Helmets must pass the Consumer Product Safety Commission test and carry the CPSC label. Some helmet companies choose additional standard labels. Some include: the American National Standards Institute (ANSI) or one of the other world-wide safety standards such as EN 1078 or AS/NZS 2063. Current technology in helmet manufacturing is exceptionally safe and lightweight. The MIPS technology is a promising thin layer of material, which allows the helmet to absorb more force than former helmets. This may prevent concussions and brain damage in the event of a crash. Many helmet brands are incorporating MIPS in their higher-end helmets including Giant, Bell, Giro, Specialized, Bontrager and more. Other brands have designed their own safety features. Kali Protectives designed the Composite Fusion Plus for safer helmets. Modern technologies allow for a lighter, thinner, and most important, safer helmet than past options. Keep in mind, the new technology is more expensive than the base models. We recommend choosing the best helmet you can afford. All the helmets with the CPSC label will pass the standards. But the more expensive helmet will be lighter, more ventilated, and less bulky, which can translate to better comfort on the trail. You need to choose a type of helmet to buy, depending on the style of mountain biking you will be doing. Cycling helmets are broken down into two categories: full face and half-shell. Full face helmets are used for downhill mountain biking. These offer a much stricter protection of the face, head, and neck, which makes a true mountain bike helmet safer than a road helmet while on the trail. 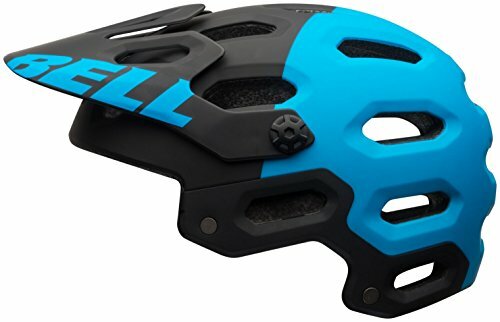 Most mountain biking helmets are half shelled, similarly to Road cycling helmets. MTB helmets are different because they cradle the head and have extra protection on sides and back. 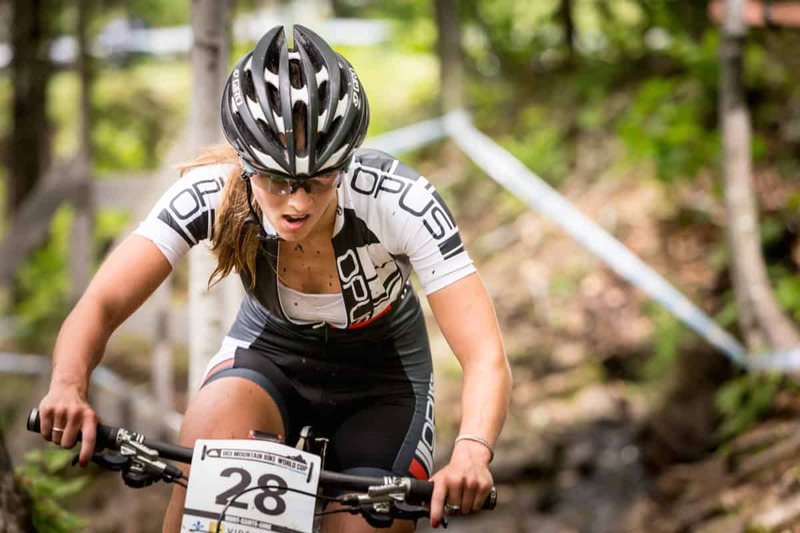 Visors are almost ubiquitous on MTB helmets; they keep rain, mud, and low branches off the riders face. Many options are available for helmet size and fit. Fit can make or break the comfort of a ride, and it is important to try on a helmet before buying. First, find what size you are by measuring. Most helmet brands have a large range of sizes for each model. Sizes range from XS to XL and have different size charts depending on the brand. Some helmets have a women’s model that will have its own unique sizing. Second, look for something that fits your shape of head. Some companies make helmets that are really round, and others are more flat on the sides. After trying on a few models or brands, you’ll feel the difference. Third, the helmet should be snug, even before you buckle the straps. It should not slide from side-to-side or front to back. Finally, the buckled straps should fit flat around ears, and flat under the chin. You’ll want to make sure the straps adjust tight enough so they don’t slip over your chin. A finger width between the strap and your chin is a general rule for comfort and safety. You also want to make sure the pads are comfortable. The pads shouldn’t dig into your temples, which may cause for a headache an hour down the road. Pads should feel comfortable and well dispersed throughout the shell. You shouldn’t feel too much pressure on any side, but remember, many helmets have removable and replaceable pads in various thicknesses. Replaceable pads are good if you need a little extra padding for proper fit and can get thicker pads. The pads will also compress over time, so a slightly tight helmet due to padding is better than a too-loose helmet. In some cases, it is important to pay attention to the overall weight of the helmet. It shouldn’t be uncomfortably heavy on your neck and shoulders or limit your ability to turn your neck. Note that the lighter helmets are usually more expensive. Ever been on a really hot and muggy ride? Proper venting is awesome on those days. A good helmet has holes to allow airflow. More ventilation is typically found on half-shelled versions. Generally, more or better venting is on the more expensive helmet choices. That is because in order to keep the proper safety standards with less material, the helmet uses stronger and more expensive materials. Are you an aspiring filmmaker or just someone who loves to document your rides? Do you ride overnight competitions or do most of your riding after work and need lights on your helmet? While you can put those gadgets on your handlebar, sometimes having them on your head is better. Certain helmets have attachment points for specific purposes such as cameras or lights. These extras are something to keep in mind. 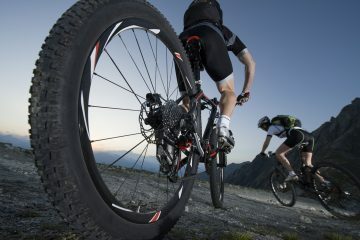 Do you sometimes dabble in downhill riding or fast decent from a shuttle ride? Some half shell helmets, like the Bell Super 2 have a removable chin bar that you can add to the half shell. It snaps into place when you need it, and you can remove it when you don’t. It is a great option for those fast, downhill runs.